From tapas to architectural marvels, culture, and art, Spain and Portugal are two fabulous European countries that —luckily for us—border each other. These Iberian neighbors share a similar landscape, with cobblestone streets and terracotta rooftops that envelope the Mediterranean. They also share similar culinary experiences and traditions, yet still retain their own individuality and unique character. There are several reasons, including their close proximity and shared history, why Spain and Portugal are best explored together, on a culture-packed best-of-both-worlds adventure. Best time to visit: The spring or fall months of March to May or September to October is the recommended time as they feature comfortable temperatures (even for the beach) and bring lesser crowds. Explore the Seven Hills that create the city of Lisbon — which include the hills of São Jorge, São Vicente, São Roque, Santo André and Santa Catarina. 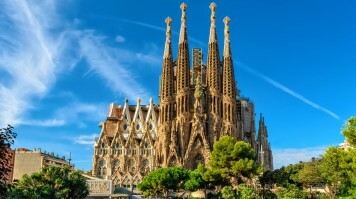 T his 15-day tour will bring you to some of Spain’s most colorful artists and avant-garde masterpieces. 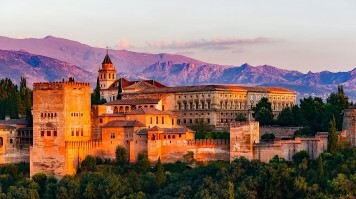 Master the Spanish flamenco dance while touring the many streets of Granada and the Moorish fortress of Alhambra. Then, finish off with a laidback tour of Portugal’s scenic coast and visit Porto and Lisbon to end your trip. This 7-day tour gives you a glimpse of the best of Spain and Portugal. It will take you from Madrid, through the bustling towns and historic cities of Granada and Seville, all the way to Lisbon. 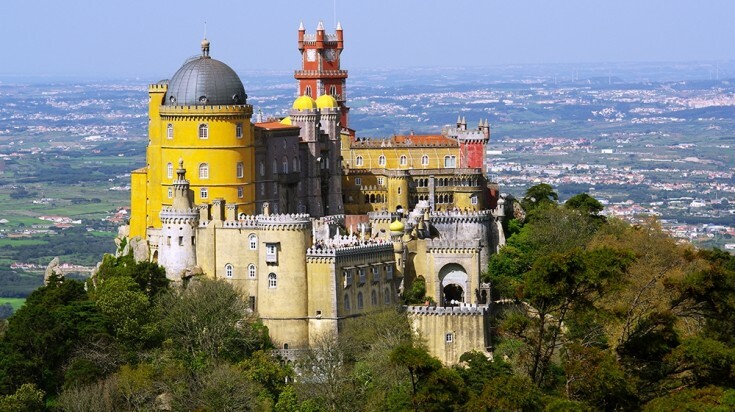 Embark on a 9-day tour through some of Spain and Portugal's greatest sights. The tour starts and ends in Madrid, where you’ll learn to dance flamenco in Seville. Dive deep into the small village of Jabugo and relish in the culinary delights of Lisbon before returning back to Madrid for a farewell tapas dining experience. Board a 15-day tour of Spain and Portugal’s most iconic spots. 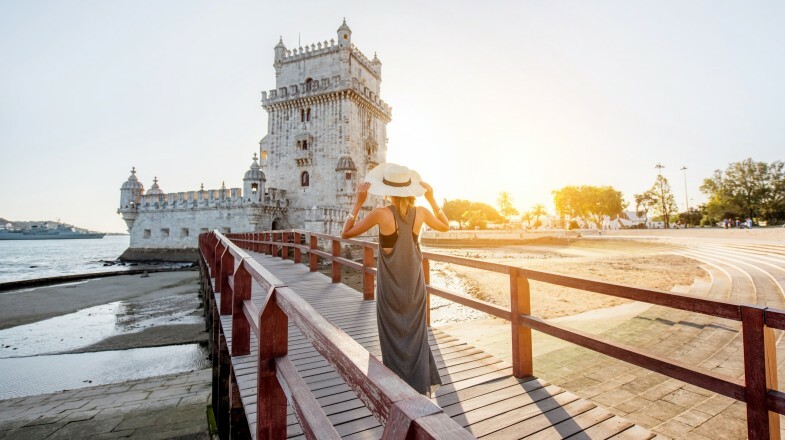 This tour starts in Lisbon and ends in Seville, where it’ll guide you through historic cities, culture and architectural marvels that have made the two countries the phenomenon they are today. Explore local farms, Moorish centrepieces and Portugal architectural gems such as Sintra and Evora as you venture through the best of western Europe. Spend two weeks exploring the treasures of Spain and Portugal starting in Madrid and ending in Barcelona. Take a tour of the many cities that line the two countries such as Madrid, Lisbon, Seville and Porto. Visit architectural treasures of the Roman Aqueduct and the Praza do Obradoiro, La Sagrada Familia and the caves homes of Guadix. Experience the breadth of Spain and Portugal while soaking in all that the Iberian Peninsula has to offer. Spend two weeks in Spain and Portugal perusing creativity, passion and romance as you witness flamenco performances and soak in Gaudi’s marvelous architecture. Explore contemporary architecture and heavily Moorish influenced fortresses. Get your tastebuds ready for some culinary delights in Valencia and Barcelona’s local scene. Rise early and take a walk around Paseo de la Castellana, while passing Madrid’s renowned fountain in Plaza de Cibeles. Then hop on a bus down Gran Via to the heart of the city. Explore the Royal Palace and take a glimpse back into the historic lives of the reigning royal family. Visit the many art museums in the city, celebrating talents such as Goya, Valazquez, Picasso, Dali to Miro. Cap off your night at one of the local restaurants serving up some of Spain’s greatest local cuisine. 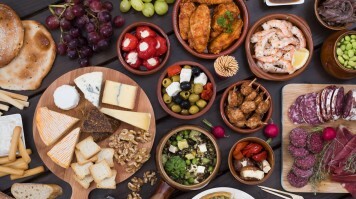 From tapas to paella, get your stomach ready for a gastronomic experience. Spend the night in Madrid before journeying out the next morning. Board an hour train ride to the fortified city of Segovia, where you’ll be taken back to the medieval age of Spain. Meander through the ancient aqueduct and witness the Alcazar fortress. 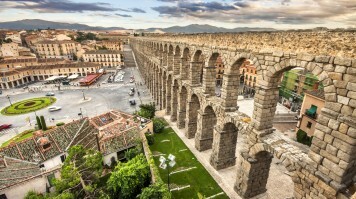 Find the ancient walls of Avila and appreciate the famed Roman Grandeur of Segovia. Take a train back to Madrid and spend the night. Take an hour-long direct flight to Porto, Portugal’s land of port wine and one of the most stunning cities in the country. 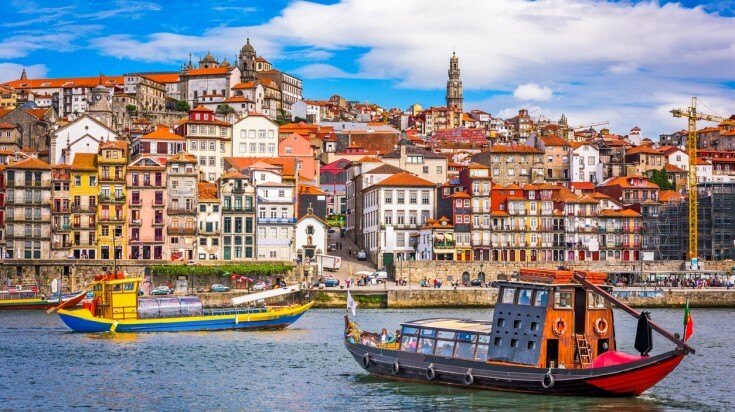 Situated on the River Douro, Porto is meant to be explored with a wine tour. Visit Vila Nova de Gala and enjoy a glass or two of some fine Porto wine and also learn the process from grapes to bottle. Learn about the tawnies and vintages when you embark on a tasting. Then, admire the multi-coloured houses and tiled churches before ending the night with a few from up top. The city holds some of the best sky-high lookouts, known as miradouros, and rooftop terraces. Try Gaia’s hilltop and find a breathtaking view of the city. Stay the night! 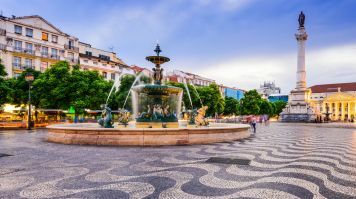 A short, three-hour train ride will take you to Lisbon where you should dive right into the hilltop of Bairro Alto to the Terreiro do Paco, one of the finest squares in the city. Lisbon used to be a heavy port for sailing ships who once set forth to discover new lands. Head to the Belem Quarter and learn more about those land-trekking days and be sure to sneak a bite at one of Portugal’s finest pastry shops at Pastéis de Belém. Then head over to the Belem Tower and Jeronimos Monastery, now a UNESCO Heritage Site. Don’t miss out on Lisbon’s famed salted codfish, Bacalhau, before ending the night at a hotel where you can feel the heartbeat of the city. Spend your last day in Lisbon treasuring the best it has to offer. Start your day off early and go hunting for quality goods at Feira da Ladra, Lisbon’s most famous flea market. Get your hands on some Ginjinha, typical Portuguese liquor with a taste of cherry, and make sure to catch the sunset at Miradouro da Graca for an incredible view of the city and Sao Jorge castle. Then end your night exploring life in a city that never sleeps at Bairro Alto, exploring the many cocktail bars that line the streets. Board a little over an hour plane ride to Seville, as you make your way back to Spain to the country’s southern shores. Visit the renowned Catedral de Sevilla and Giralda, an awe-inspiring place of worship known to be the world’s largest Gothic Cathedral. See Christopher Columbus’s tomb and walk up the Giralda Tower for a majestic view of the cityscape. Further explore the bustling Santa Cruz Quarter and visit the Alcazar. Known for its perfect blend of Christian and Mudéjar architecture, this palace was once home to King Pedro and is Seville’s greatest crown jewel. Tour the Plaza de Espana before making your way La Brunilda, a backstreet known for some of the city’s best tapas. Feast at the many wooden tables and watch some famous flamenco dancing before calling it a night. 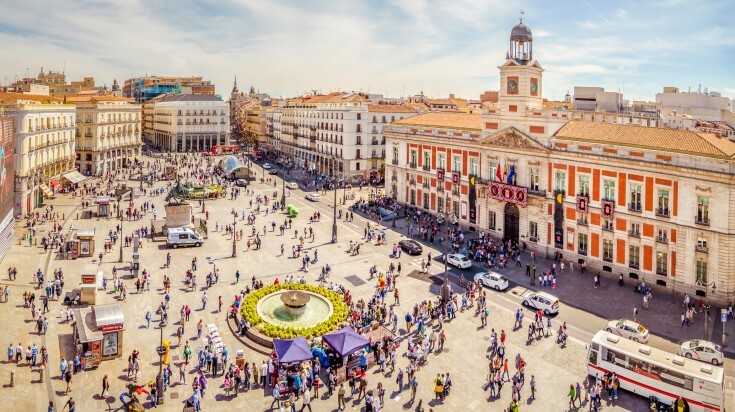 Embark on a short 45-minute train ride to the Andalucian city of Cordoba, known for its famous Moorish architecture, breathtaking courtyards and historic prowess as one of the most culturally and religiously diverse cities of southern Spain’s. Make sure to visit the Mezquita, the gem of the city and one of the world’s greatest testaments to Islamic architecture. Then head over to the Palacio de Viana, a stunning work of the Renaissance era with 12 beautiful patios of art and antiques dating back to Cordoba’s golden years. After a busy day, head to Mercado Victoria for some food and try anything from Argentine empanadas to burritos from Mexico and some of Spain’s classic seafood and meat dishes. Rewind at Taberna Salinas, a historic bar known for its classic Cordoba architecture, before calling it a day in the vibrant city. 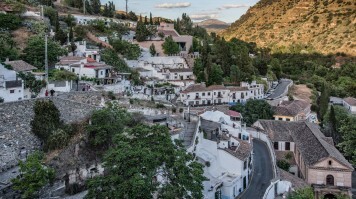 Take the short two-and-a-half-hour trip to Granada, a city that lies beneath the Sierra Nevada, that was once a stronghold for the Spanish Moors. The legacy of the Moors seeps through the city. Visit the Albayzin, the oldest Arab quarter and take a step back in time to Medieval Moorish times before heading over to Alhambra. Known as the city’s gem, Alhambra was once a citadel boasting the greatest of Islamic decor and gardens. Spend the afternoon shuffling through the many streets, bars and bohemian cafes of Granada’s streets and find a spot for lunch. Wrap up the day exploring the main street of Grand Via for some local shopping and people watch at Plaza Nueva to get a peek into the life of the locals. Then, stay the night before heading to Valencia the next day. 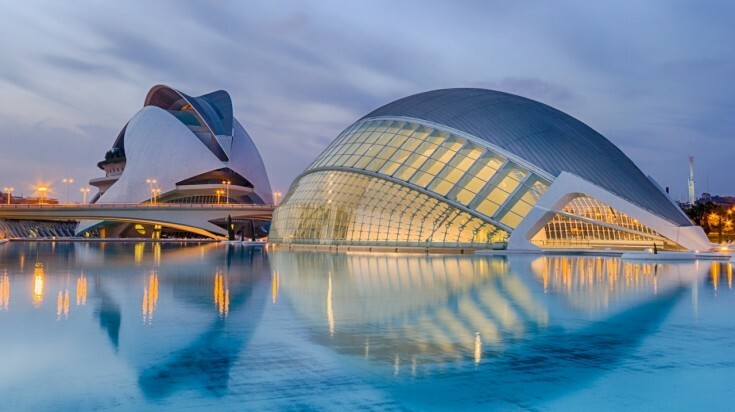 Partake on a three-hour flight to the City of Arts and Sciences, Valencia. 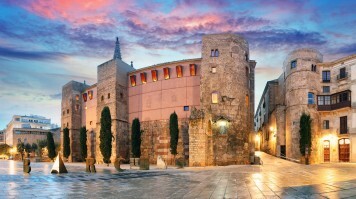 Walk through the Old City and relish in the architecture of the ancient gates, Torres de Serranos and Torres de Quart. Next, spend the afternoon strolling down the parks to El Miguelete, the city’s bell tower for the perfect view of the city. Don’t forget to try Valencia’s most famous dish, paella and even learn to make the traditional dish at the many cooking workshops the city holds. Visit Valencia’s central market for some local goods before spending the night at the beachside relaxing at the many famous beaches in the city. 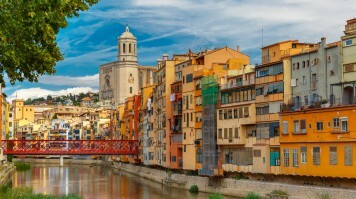 Take your last three-hour train ride to Barcelona, Spain’s hippest and most beloved city. Embark on a tour of the many modernist buildings in Barcelona’s downtown core. Visit some of Gaudi’s greatest masterpieces in the Eixample district before going in to visit the Sagrada Familia. 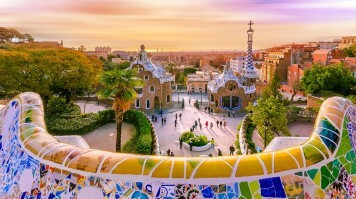 Continue on and climb up Park Guell for a beautiful view of the city with Gaudi’s greatest work at the tip of your fingers. Next, soak in the city’s Mediterranean hospitality and explore La Boqueria, one of Barcelona’s largest markets. Find an abundance of the region’s finest cheeses, charcuterie, seafood and produce for the ideal local experience. Then spend the afternoon wandering Las Ramblas, finding hidden artisanal gems and souvenirs for family back home. Go bar hopping at Passeig del Born before ending your day lounging on the beach at La Barceloneta. Take in your final views of the beautiful Spanish banks for the perfect end to the trip. Portugal and Spain are both part of the Schengen Area of the EU, which gives EU nationals a borderless pass between both countries. For visitors travelling to Spain or Portugal, visitors from the US, Canada, New Zealand and Australia are entitled to a 90-day stay without a visa throughout the Schengen area. Others will have to apply for a visa directly through the nearest Spanish or Portuguese embassy. When taking a packaged tour, ensure that you are have visas for both countries or at least the necessary paperwork for it. The best way to travel between both countries is by train and plane. The railway all across Europe is efficient and connects to most major cities across the continent. Flights between the two cities are also very cheap and quick to board. Both cities take Euros, so exchanging money when you arrive at either country. Weather and temperatures in both countries are relatively similar so packing for both should be a breeze. Visitors should note the typical eating times for both countries. People in Spain usually have lunch at 15:00 while dinner starts at 20:00. While in Portugal, however, lunch usually begins around noon and dinner at 19:00. Both Spain and Portugal share similarities in culture, climate and ways of life. Yet they each carry their own distinct beauty that has had visitors coming back again and again. Journey through these two sister countries and be ready for a gastronomical and architectural experience.